On Saturday, October 27. 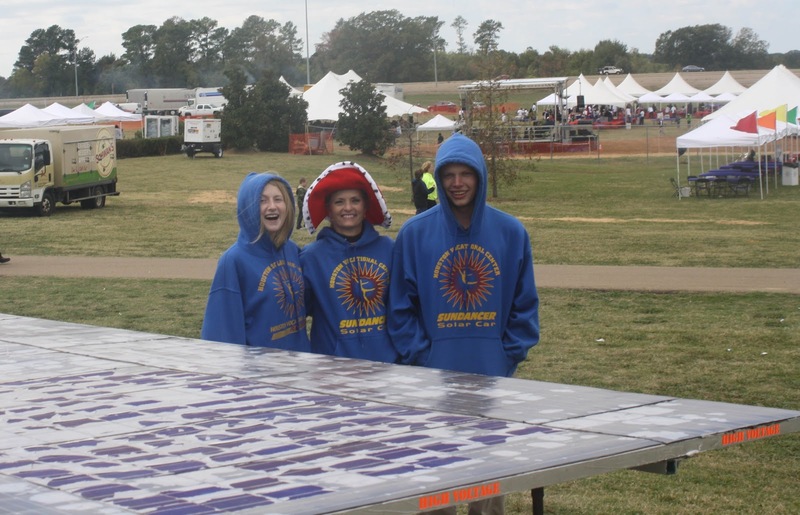 Mr. Reese, Mrs. Anita Ellison, Kristen Black, and Daniel Worthey made the journey to Canton, MS to show the girls' car at the Nissan Family Day. We spent the day talking to employees of Nissan and their family, eating great food, and enjoying the carnival rides. The day started out cold and windy, but by lunch time the sun came out and the rest of the day was enjoyable. We would like to thank Nissan for the generous invitation to take part in this fun event. Waste Management held their ribbon cutting for a landfill facility in Houston, MS today that will make the 6th facility of it's kind in Mississippi. What they are doing is converting what you throw out, into electricity for Mississippi. The Houston Solar Race Team was invited to attend this event and be recognized for their use of Solar Energy in their Solar Car Program. While there, Governor Phil Bryant, along with Rene Faucheux and Charlie Gardner of Waste Management presented the team with a donation check from Waste Management. Thank you to Waste Management for your generous contribution. 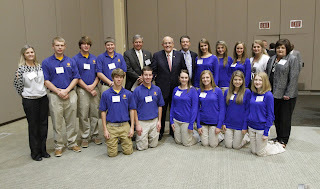 On October 4, 2012, We were invited to display our car and be recognized by Governor Phil Bryant at the first ever MS Governor's Energy Summit at the Jackson Convention Complex in Jackson, MS. We also had the opportunity to listen to and take our picture with former New York Mayor Rudy Giuliani. We had a great time and met many people from the MS House of Representatives, MS Senate and other business people from the State of Mississippi. 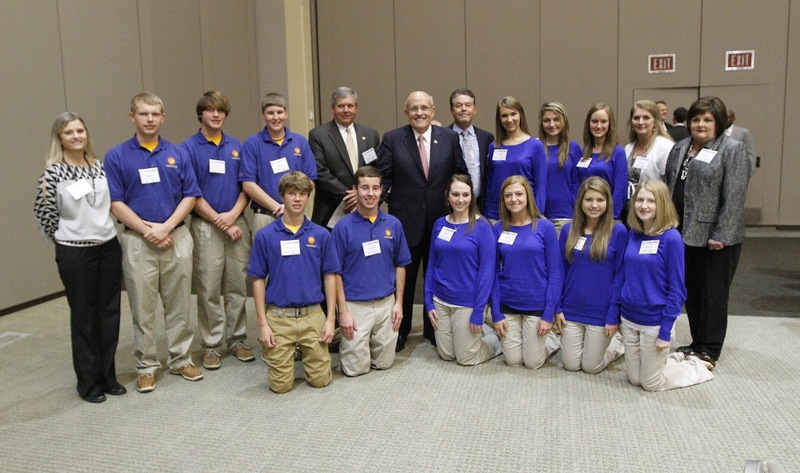 We appreciate the opportunity to display our car and be recognized by our State Governor, Phil Bryant. Jasper Harmon taping the easel to make it "pretty"